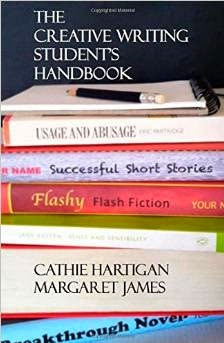 This month, Cathie Hartigan and Margaret James have brought out their Creative Writing Student's Handbook in paperback. Already a five-star success on Kindle, the paperback is available from Amazon and takes students through the entire creative writing process. It has plenty of practical advice, helpful exercises, lots of tips and links to useful websites, and is an indispensable manual for new and seasoned writers alike.